Girls, Girls, Girls is the challenge on Bunny Zoe's Crafts this month. 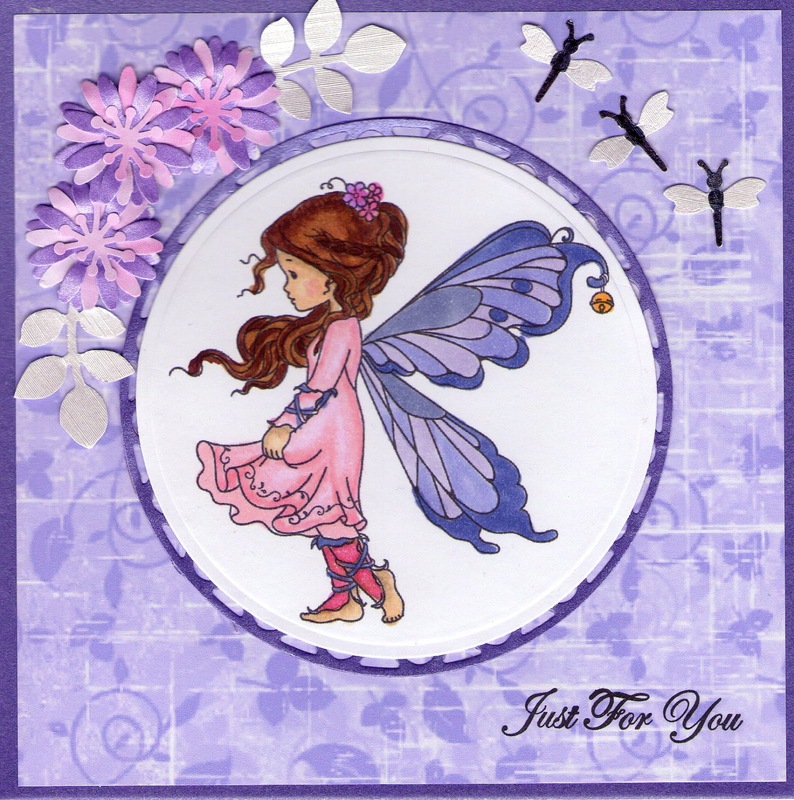 I have used another of the digi stamps from Wee stamps, this one is called Silver Fairy. I have coloured her with my new Copics. The little dragonflies are made from a Quickutz die, I cut them in white pearlescent card and coloured the body of the dragonflies with a black pen. I brought three more digi stamps from Wee Stamps today, they are so cute so you will be seeing them soon. Silver Fairy from Wee Stamps. Just For You sentiment from Jayne Nestorenko's Cute Companions. Lovely card - love the lilac! Gorgeous card! I love the colours you've used and the image is such a sweetie.